Bring the magic of Spellbound Theatre to your preschool or playgroup. Our artists specialize in creating performances and workshops that are specifically designed for toddlers’ and preschoolers’ developmental needs and budding imaginations. "We found it captivating and creative..."
"...a magical experience for children to exercise their imagination." "The teachers really enjoyed this show." All of Spellbound’s performances are intimate and interactive, designed to spark children’s creativity and curiosity. 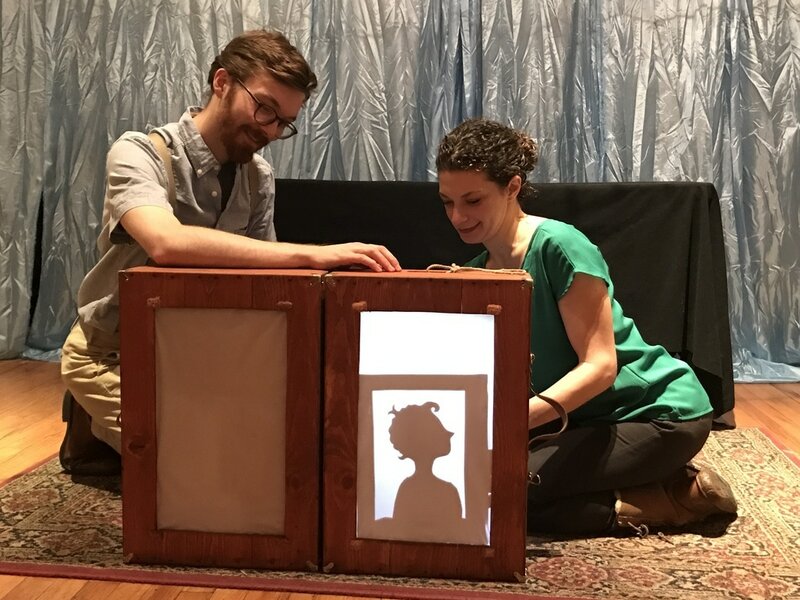 Based on familiar themes and objects, these plays are tactile and artistic reflections of children’s lives and interests. "One performer, one bag, one classroom"
﻿Up & Down Again﻿ - A construction site comes to life with interactive materials and machines used to construct a surprising project. Bring Spellbound Theatre into your classroom! 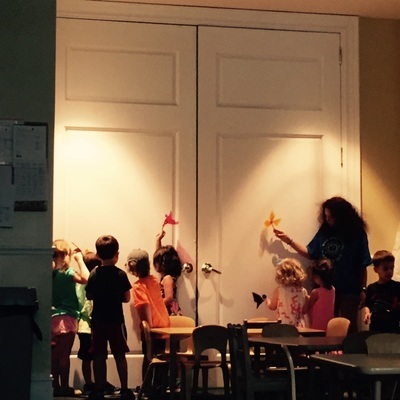 Through our unique workshop and residency programs we bring our art and play based practices into your school. 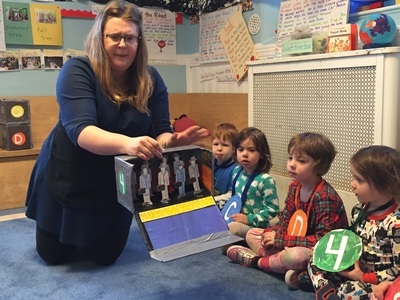 Our classes, which are rooted in storytelling and creative play, give the students a chance to engage with exciting material in an open ended way. Deepen the experience from our pop-up shows with a workshop exploring the theme of the performance! 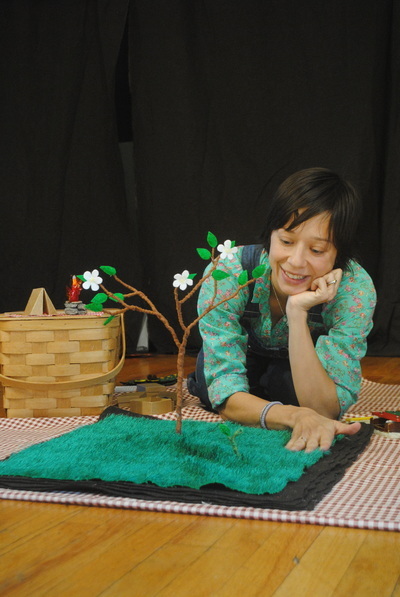 These 1 or 3 session workshops give your students a chance to interact with puppets and materials from the show in addition to crafting an object that will support the continuation of the play experience. Book one of our 3 signature Spellbound Theatre workshops and experience a unique take on storytelling and puppetry specifically designed for ages 2-5. Each theme can be explored during 1-5 sessions. Invite Spellbound for a longer residency that will strengthen the students’ storytelling and pre-literacy skills. During each session we explore a new story through movement, singing, creative play and multi-sensory props. Available for 8-12 sessions. If you want a single workshop or a residency completely adapted to your school’s curriculum we are here to help! We will meet with your teachers to plan and develop a Spellbound experience that fit your needs. 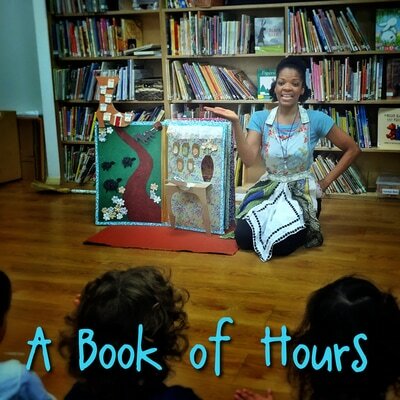 Want to learn more about using storytelling and puppetry in your classroom? Contact us about Professional Development workshops for your staff. Email Susanna Brock, Education Manager, at susanna@spellboundtheatre.com.